A recent message from the presiding judge of the Los Angeles County Superior Court announced that the court anticipates elimination of all non-mandatory elements of the court’s ADR programs next year. At a meeting of the court’s ADR committee on December 5, 2012, we were told to anticipate reduction or elimination of all services by the court’s ADR program as of June 30, 2013. Worst case, the court staff would no longer be administering any kind of ADR program using outside mediators, but the court would still retain its judicial settlement officers. Announcing the First Two Professional Development Seminars for 2013! The Seven Deadly Sins of Networking, Thursday, January 31, 2013, 6:30 PM. Kathleen Ronald is a Business Growth Expert, an unparalleled networker, an internationally renowed speaker-trainer, and the founder of Speaktacular. Location: Santa Monica Library, 601 Santa Monica Blvd., Santa Monica, CA 90401. NO REGISTRATION FEE REQUIRED. The changes that are expected to occur to the LASC ADR Program by June 2013 are rocking major waves in our community. The SCMA is inviting its members and the mediation community at large to attend a Town Hall Meeting on Tuesday, January 15, 2013 for an open conversation about the expected changes and to discuss what SCMA can do to be a part of the solution to the potential reduction in services and/or closure of the LASC ADR Department. This is a fantastic opportunity to gather with leaders in our field, and to share your views and hear other perspectives. Please R.S.V.P. to Scheherazade (Shazi) Rastegar at srastegar@mac-sg.com. SPECIAL OFFER FOR SCMA MEMBERS FROM MEDIATE.COM! DEADLINE ON MEMBERSHIP AND WEBSITE DISCOUNTS EXTENDED TO 12/31/12! Because of the strong demand Mediate.com has extended its offer to SCMA members of a 15% discount on new Mediate.com Memberships and on new Mediate.com Web Site Packages purchased by 12/31/12. SCMA members can purchase a new Mediate.com membership for only $204/yr. and a complete web site package (all services including hosting and email) for only $339/yr! Want to take advantage of the offer but not an SCMA member? Go to www.scmediation.org . Winter time: celebrate the holidays. Thanks to your support the 24th Annual SCMA conference was a smashing success! The SCMA warmly thanks our co-sponsor and friend The Straus Institute for Dispute Resolution at Pepperdine School of Law for it’s tremendous generosity and for the use of their spectacular facilities. From the large amount of attendees at the conference, we have gained many new members.A special thank you to the American Institute of Mediation for co-hosting the first annual AIM Advanced Track at the SCMA Annual Conference. There was an outstanding turnout of Advanced Track Participants!SCMA would also like to acknowledge and thank the numerous sponsors that made the 24th Annual SCMA Conference possible:Emerald Sponsors – Mediate.com and Arbitrate.com; The American Arbitration Association, and The Tseng College – California State University Northridge. Platinum Sponsor – The SCMA Board of Directors. Gold Sponsors – ARC, ADR Services, Inc., Judicate West, PMA, Victoria Pynchon, Sammy Davis Photography, Real Office Centers, Complete Equity Markets Insurance Agency, Inc., Jeffrey Krivis; Silver Sponsors – Jan Frankel Schau, SCMA Westside Study Group, and Louise Nixon. Bronze Sponsors – MAC Services Group, SCMA Eastside Study Group, FINRA, JAMS, Helena Beaven Goto – Modern Mediation, High Conflict Institute, NAFCM, CNM Mediations, ADR Case Managers. If you were unable to attend the conference you will shortly be able to purchase access to view the conference online. Details will follow. For all of you who attended the conference you will receive a V-CUBE password via e-mail in approximately10 days which will provide access to view all of the workshops at the conference online. For AIM Advanced Track workshop videos, please go to the AIM website for instructions. SCMA CONFERENCE NEWS! SPECIAL MEMBER OFFER! Mediate.com is offering SCMA Members a special 15% discount on new Mediate.com Memberships and on new Mediate.com Web Site Packages purchased by November 15, 2012. A new Mediate.com Membership will cost only $204/yr. and a complete web site package (all services including hosting and email) will cost only $339/yr! Mediate.com is also making a substantial contribution to SCMA for each new membership and web site package ordered by SCMA Members before November 15. Take advantage of this offer, get your site up and running, and support SCMA all at once! Jim Melamed, Mediate.com CEO, will speak at the SCMA Conference on “Web Site Development and Our Online Future.” You can still register for the SCMA Conference at www.scmediation.org and hear this important session. Want to take advantage of the offer but can’t because you’re not an SCMA member? 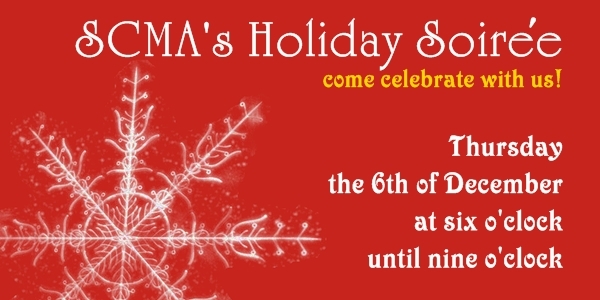 Then click here to join SCMA for a membership that lasts through December 2013! Receive the full package of member benefits, including discounts on registration for the pre-conference dinner on Friday, November 2 and the conference this Saturday November 3 as well as a long list of other member benefits that start immediately! Register for the dinner and conference at www.scmediation.org. Panelists include: Colin Rule, CEO at Modria, Inc. and designer of the PayPal Court, John Haas, Director of the Global Consortium for Sustainable Peace, and Lucy Nusseibeh, director and founder of Middle East Nonviolence and Democracy (MEND). For more information about this workshop click HEREIt’s Not Just About the Money – Non-Monetary Considerations in Resolving Employment Disputes Employment disputes involve highly-emotional issues on both sides of the table, with unique dynamics, interests, concerns, and settlement considerations that go beyond reaching a monetary agreement. This panel of highly experienced employment practitioners will share in-depth strategies in mediation for addressing the competing emotions and interests of the employer and employee that are essential to reaching resolution, and discuss common non-monetary settlement terms that can either facilitate reaching agreement or create an added impediment that requires further work at mediation. Panelists include: Sheila Sparks, Vice President and Senior Employment Counsel at Warner Brothers Entertainment, Roxanne Davis, Davis, Gavsie & Hakim, LLP, David Wimmer, Swerdlow, Florence, Sanchez, Swerdlow & Wimmer, and moderated by Steve Paul, Alternative Resolution Centers (ARC). Penn State said Thursday that it retained the Washington, D.C., law firm led by Ken Feinberg for what the university described as an effort to resolve all litigation, including claims that have not been filed, by the end of the year.